January 29: 5 POWER Lessons From 5 Leaders Who Made History On This DAY! 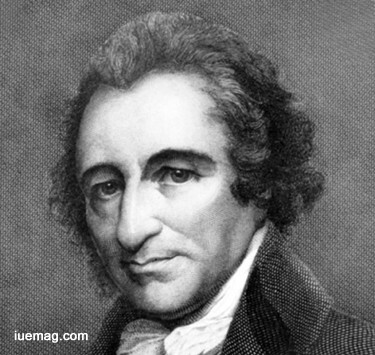 Thomas Paine, an English-American political activist, philosopher, political theorist, and revolutionary, was one of the Founding Fathers of the United States, who authored the two most influential pamphlets at the start of the American Revolution, and inspired the rebels in 1776 to declare independence from Britain. His ideas reflected Enlightenment-era rhetoric of transnational human rights. Before his name got logged into the archives of American history, his beginnings were especially humble. He began his career in writing as a publicist at first and then went on to become the co-editor of a very popular magazine in Pennsylvania. Through his writings he swayed public opinion of American public in favour of independence from British. His fearlessness and readiness to face the outcome inspired many others throughout his lifetime and after. 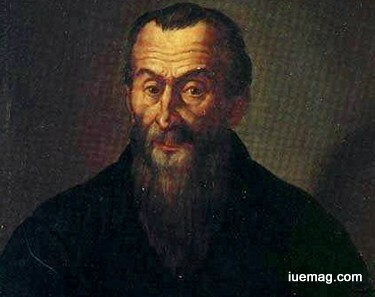 Considered the father of the Venetian school of composition, Adrian Willaert was one of the most versatile composers of the Renaissance period, writing music in almost every extant style and form. Because of his endearing qualities and talent in musical compositions, he was appointed as the ‘maestro di Capella’ at St. Mark’s and became one of the most influential musicians in Europe, during the time of ‘Palestrina’. His motets, chansons, madrigals and sacred music were well known and because of his inventive styles and penchant for novelty, he was considered a madrigal composer of the first rank. Willaert was also the pioneer of the antiphonal style of music. This style was adopted by several music composers. Apart from his compositions, Willaert was also a notable teacher. According to Gioseffo Zarlino, writing later in the sixteenth century, Willaert was the inventor of the antiphonal style from which the Venetian polychoral style of the Venetian school evolved. Willaert was no less distinguished as a teacher than as a composer. Among his disciples were: Cipriano de Rore, his successor at St. Mark's, and the two Gabrielis, Andrea and Giovanni. Willaert left a large number of compositions—eight masses, over 300 hymns, about 60 French songs and several instrumental compositions. The most influential Franco-Flemish composer of the so-called "Post-Josquin" generation, he also founder of the Venetian school at San Marco that would shine well into the next century. 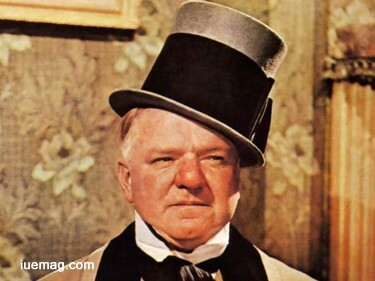 William Claude Dukenfield, better known as W. C. Fields was a juggler and comedian whose flawless timing and humorous cantankerousness made him one of America’s greatest comedians. Born into a poor family he ran away from home when he was just 11. Fields practiced juggling fanatically, becoming one of the most skillful performers in history. He began his career as a juggler and was known to practice for hours perfecting his skills. At 14 he got his first professional booking. By the time he was 15 he was supporting himself by performing juggling acts at church and theater shows. Within 3 years he was an established entertainer and, driven by his obsessive fear of falling back into poverty, had begun his lifelong clamour for better pay and better billing. He called himself ‘The Eccentric Juggler’ and developed a juggling routine that included anecdotes and comedy as well. He used to juggle cigar boxes, hats and other strange objects that gave him a novel appeal. 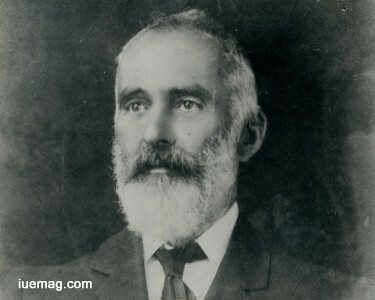 He toured all over the world and by the early 1900s he earned the reputation for being the world’s greatest juggler. To many, Fields ranks alongside Chaplin and Keaton as one of the screen’s greatest comic performers. Critics have made the distinction that, while Chaplin may have been America’s greatest comic filmmaker, Fields was America’s funniest man. Composer Frederick Delius was one of the most distinctive figures in the revival of English music at the end of the 19th century. The son of a German manufacturer, Delius was educated at Bradford Grammar School and the International College, Isleworth, London. After working as a traveler for his father’s firm, he went to Florida, U.S., as an orange planter and devoted his spare time to musical study. In 1886 he left Florida for Leipzig and there underwent a more or less regular musical training. The lyricism in Delius's early compositions reflected the music he had heard in America and the influences of European composers. As his skills matured, he developed a style uniquely his own, characterised by his individual orchestration and his uses of chromatic harmony. Some songs, an orchestral suite (Florida), and an opera (Irmelin) were all written before he had a work published, that being Legend for violin and orchestra. These were followed by more ambitious works that aroused considerable interest, especially in Germany, during the first decade of the 20th century. Later his reputation also spread to England. Even after he was stricken blind and paralyzed in his early 60s, Delius continued to compose, working with Eric Fenby. 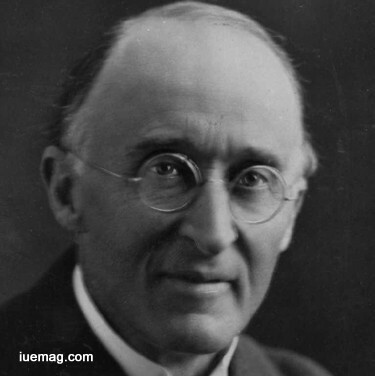 The Delius Society, formed in 1962 by his more dedicated followers, continues to promote knowledge of the composer's life and works, and sponsors the annual Delius Prize competition for young musicians. Lawrence Hargrave was an Australian engineer, aviation pioneer, inventor, explorer, and astronomer and is well-known as the father of flight. After inheriting his late father’s wealth, he gave up employment to focus on researching the difficulties of human flight. In 1889 Hargrave revolutionised engine technology by inventing the radial rotary engine. In the 1890s a small number of inventive technologists were working to translate infant aviation theory into airplanes. Leading the race was Hargrave, a quintessential nineteenth-century scientist of independent means. He devoted most of his life to constructing a machine that would fly. He believed passionately in open communication within the scientific community and would not patent his inventions. Instead, he scrupulously published the results of his experiments. Although as early as 1892, Hargrave had voiced his opposition to the idea of the “connection of the flying machine with dynamite missiles,’ the rotating radial engine was extensively used in military aircraft until it was superseded by new engine technologies many years later. As an inventor, he was extremely optimistic and constantly persevered towards his goals. He was also a humble and generous person as he never bothered to patent his various inventions. His only purpose was to contribute to the advancement of human knowledge. As with most pioneers, he was not sufficiently honoured during his lifetime but came to be regarded highly when his contribution to aviation history became evident. From 1966 to 1994, the back side of the Australian $20 banknote featured a picture of Hargrave along with his gliders. The largest airline of Australia, Qantas has named its fifth Airbus A380 after him. Any facts, figures or references stated here are made by the author & don't reflect the endorsement of iU at all times unless otherwise drafted by official staff at iU. This article was first published here on 29th January 2017.